Effective March 29th, Gulf Air is withdrawing its flights from Bahrain to Bangalore and to Hyderabad. No explanation has been provided by the airline, but I suspect that they have been crowded out by the far more aggressive Emirates Airlines. Gulf Air flies a small Airbus A320 to Bangalore daily and a slightly larger A321 to Hyderabad four times a week, while Emirates flies three Boeing 777s/A330s daily to both cities. 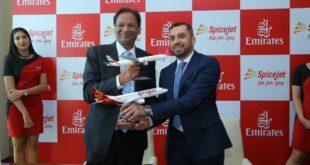 Having overtaken European and ASEAN carriers, this is the first case of a fellow middle east airline feeling the pressure of the relentless expansion by Emirates across the Indian skies. 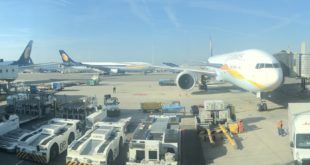 On the same date, March 29th Jet Airways will launch its Mumbai Kuwait service which complements their existing Kochi (Cochin) Kuwait service. Mumbai-Kuwait: 9W 572 Dep 1900 hrs. Arr 2030 hrs. Kuwait-Mumbai: 9W 571 Dep 2130 hrs. Arr 0400 hrs. 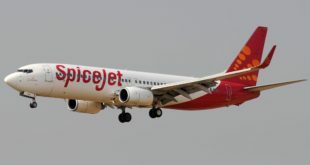 Obviously there is more traffic between Kochi and Kuwait, since even the Mumbai Kuwait service will offer convenient connections to the Mumbai Kochi services of Jet.